Made with the modern tea lover in mind. 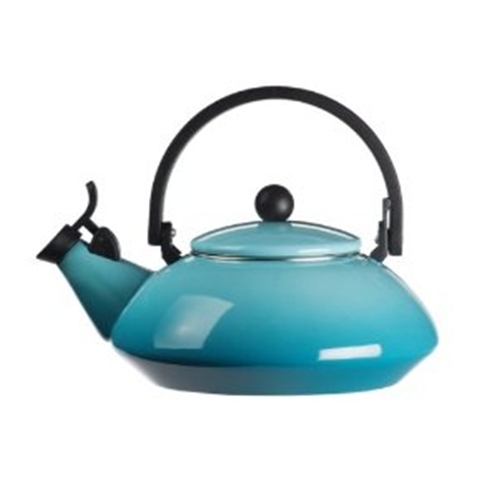 This contemporary enameled steel tea kettle also features our new fixed whistle. Complete with the locking handle, everything about Le Creuset's zen tea kettle says sit back, relax and enjoy! 1.6 quart capacity.